Now days Delete Skype account is not an easy task as compared to earlier. Creating of Skype Account is an easy way but getting over it and canceling your account in becoming difficult. Social networks like Facebok , Twitter, Skype and much are becoming most important part of our daily life. Some people and big companies use these social networks for publishing , advertising and promoting their product or service. 1 Whys Should You Delete Skype Account ? 1.1 Skype Account Vs Microsoft Account ? 2 How to Delete Skype Account Permanently ? Whys Should You Delete Skype Account ? This Big companies and media agencies take the advantages of Social media account simply by creating a fake account with fake details like Name , Email and Address. Due to increasing this unusual activities and spamming in social network companies like Facebook, LinkedIn and other are implementing No Permanent account delete policy. Skype is one of them and it also implement this policy. So one user signup for a free account he will not be able to delete Skype account permanently. Skype Account Vs Microsoft Account ? Skype provide different methods to signup for account. You can also use Microsoft account in that. When you sign up your Skype account with Microsoft account , your Microsoft account also got linked with Skype accout. It means Skype is linked to Microsoft services like Xbox , Subscription, Outlook etc. If you want to delete Skype account you have to first unlink your Microsoft account from Skype. After that you can proceed for deleting Skype account. How to Delete Skype Account Permanently ? 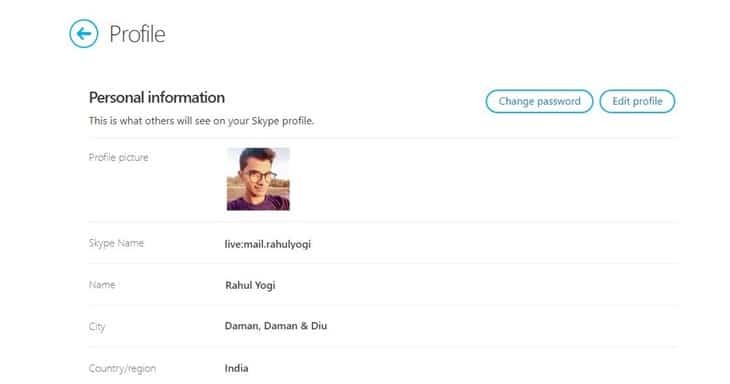 As i already said you its difficult to delete Skype account but you can make changes to your Skype account so it will not be visible on Skype and your profiles may be considered as deleted. 1. 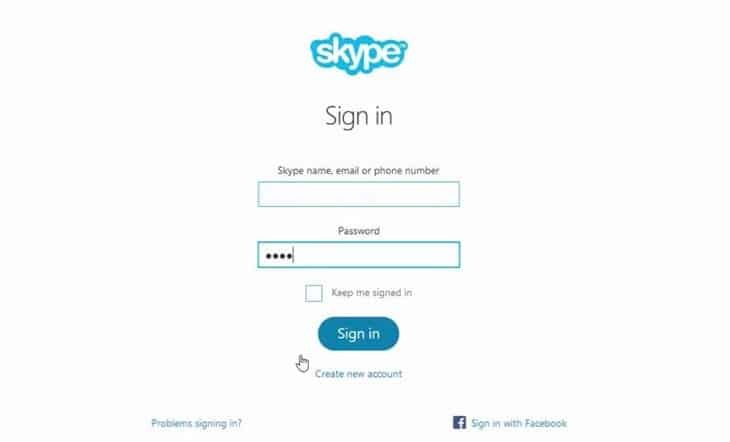 Signing to Skype account by visiting Skype Login Page in a web browser. 2. Go to your account settings and scroll down to the bottom of the page and click Account Settings under Settings and Preferences. 3. Check if your Microsoft account is linked. If linked unlink it by clicking on Unlink link. 4. A popup message will occur now to alerting about unlinking Microsoft Account from Skype Account. Confirm the Action and close message. Tip: Unlinking accounts may sign you out of your Skype account. If so, just sign in back again at Skype to proceed with the account deletion process. 5. Now you have to Cancel your Skype Subscriptions. In your Skype account settings on the web, click the subscription you want to cancel in the blue bar on the left. 6. Click Cancel Subscription to continue account deletion process. Tip : Now its time to request a refund for any Skype subscriptions that you haven’t used. You can do this either in a live chat with Skype’s support staff or fill out the online Cancellation and Refund form. 7. If you purchased a Skype Number where people can ring you, you should also have to cancel it before closing the account. For this Click on Skype Number in the Manage Features section, then click on Settings and now finally click on the Cancel Skype Number option. Your Skype Number subscription remains active until its expiry date, which is shown in in the Account. After it’s expired, Microsoft will reserve your Skype Number for 90 days. 8. If you have enabled Auto Recharge function in Skype so whenever your balance goes low it will your account. You have to also cancel this to do this go to Account Details section and then click on Billing & Payments, then hit Disable under the Auto-Recharge tab right next to Status. 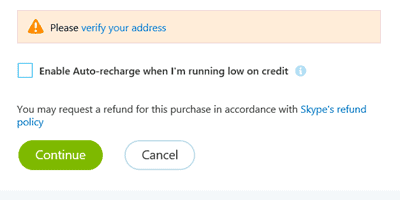 Now that you’ve cancelled your Skype subscriptions and removed recurring payments, contact Skype Customer Care and tell them you’d like to close your account. Now you have followed all the basic steps to delete Skype account. This step include the normal procedure to close a Skype account which you have done. If you further want to go and deleting Skype account manually you can proceed with the below steps. This step makes you to delete Skype account permanently with manual thing. The manual of deleting Skype includes various task which you have to perform. After doing this task you will be completely able to delete Skype account manually. To make more difficult for other users to find out your profile on Skype you can change your Profile Name. By doing this no one will able to find you with your name. You can further update your Email address this will not include you in email address search on Skype. You can also update your Address and Contact Information on Skype to make it more difficult for other to find you out. Also don’t forgot to change search result option as uncheck. Look at the below picture how it is done. Change Profile Pictures : To change a profile picture on Skype, tap My Info Option on Skype for iOS, hit your profile picture and select Remove Profile Picture. Replace your Profile picture with the generic dummy picture or choose one which is cartoonist type or you can also user Gravatar images. Update your status : You can also update your status so that one can not identify you with your status. You can Update status like “Gone out of Skype” or “Not Using It Anymore”. Enter your mood message and just hit on update button. Sign Out to All Devices : This is the final step to do. Just sign out of all devices which you have used to sign in your Skype account or change password and click on sign out of all device. So Skype will not able to contact you. You have just finished up the guide of how to delete Skype account which cover all the basic and full topic to delete your account. Try this and let me know your success stories in comments. Have a Good day.